Does my HVAC Air Conditioner require Maintenance? Just like any other machine, regular maintenance is needed to keep your air conditioning unit running effectively and efficiently. Can I handle the maintenance myself? The inner workings of an HVAC unit are more complex and intricate than you might think. It is not recommended to perform DIY maintenance on your air conditioner unless you have had some formal training or experience. Frequently, when people get the idea to try to do it themselves, they end up doing more harm than good. It may be tempting to try to save some money by passing on scheduled maintenance by an expert, but in the long run it will almost assuredly end up costing you more. Trying to do it on your own can result in damage to the HVAC system, which means costly repair bills. Skipping maintenance altogether is also not a good idea. Even if your air conditioning unit seems to be working fine, waiting until there is a problem is a backwards approach that can also result in hefty repair fees. Why get professional maintenance for my HVAC air conditioner? Routine expert maintenance is suggested for a variety of reasons. Employing a trained HVAC technician to maintain your HVAC air conditioner can be extremely helpful for the performance and longevity of your unit. Even if you read the entire owner’s manual of your HVAC air conditioning unit, you would still not be qualified to make repairs and adjustments. Trained technicians know exactly what to look for and what to expect to keep your machine operating smoothly. 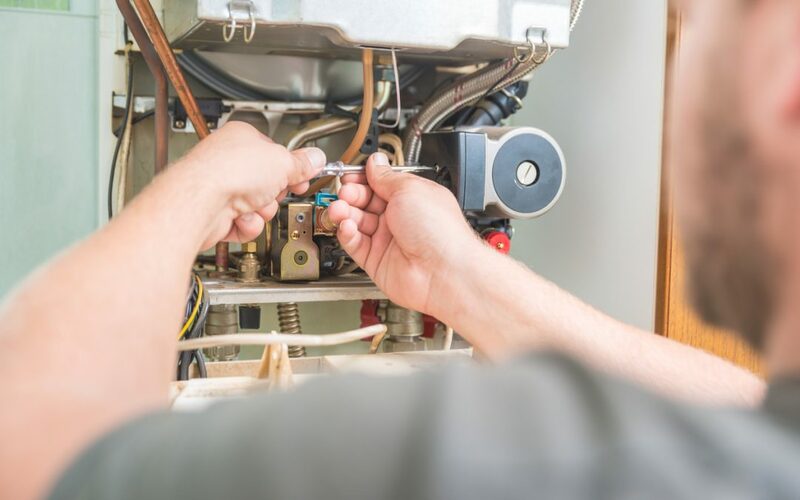 A scheduled maintenance appointment with an HVAC professional will involve a thorough inspection of your unit to look for problems and potential future complications. Trained technicians will make sure the thermostat settings are optimal, refrigerant levels are appropriate, and that the electrical components are working without issue. Foregoing regular maintenance increases the risk of your air conditioner seizing up on you at the most inopportune time. I think it is safe to assume that you don’t want your HVAC unit to quit on you in the middle of August. Prevent unexpected breakdown and the need for emergency repair with consistent maintenance. Routine maintenance means less stress on the equipment, which improves its longevity. HVAC units are a considerable expense, why would you want to replace it earlier than you need to? A professional technician will be able to make sure the air quality coming from your air conditioner is as clean as possible at all times. This is a plus for your health, and anyone else that occupies your space. Whatever fee you pay for routine maintenance will easily be offset by the money you will save on repair costs and replacements. For the best in HVAC maintenance and repair, the Air In Motion Heating & Cooling Centre in Mississauga is a perfect solution. With upwards of 20 years serving customers all over the GTA, you can expect the same quality service every time. Contact the office today for more information or to book and appointment.